In my last article, Managing SAS Configuration Directory Security, we stepped through the process for granting specific users more access without opening up access to everyone. One example addressed how to modify security for autoload. There are several other aspects of SAS Visual Analytics that can benefit from a similar security model. start and stop a SAS LASR Analytic Server. load data to a SAS LASR Analytic Server. import data to a SAS LASR Analytic Server. Requirements for these types of users fall into two areas: metadata and operating system. membership in appropriate groups (for example: Visual Analytics Data Administrators for SAS Visual Analytics suite level administration; Visual Data Builder Administrators for data preparation tasks; SAS Administrators for platform level administration). access to certain metadata (refer to the SAS Visual Analytics 7.3: Administration Guide for metadata permission requirements). Users who need to import data, load data, or start a SAS LASR Analytic Server need the ability to authenticate to the SAS LASR Analytic Server host and write access to some specific locations. to be able to authenticate to all nodes in the cluster. passwordless SSH to all nodes in the cluster (refer to the SAS LASR Analytic Server 2.7: Reference Guide for information about passwordless SSH and how to set it up). If the compute tier (the machine where the SAS Workspace Server runs) is on Windows, users need the Log on as a batch job user right on the compute machine. In addition, users need write access to the signature files directory, the path for the last action logs for the SAS LASR Analytic Server, and the PIDs directory in the monitoring path for the SAS LASR Analytic Server. There are two types of signature files: server signature files and table signature files. 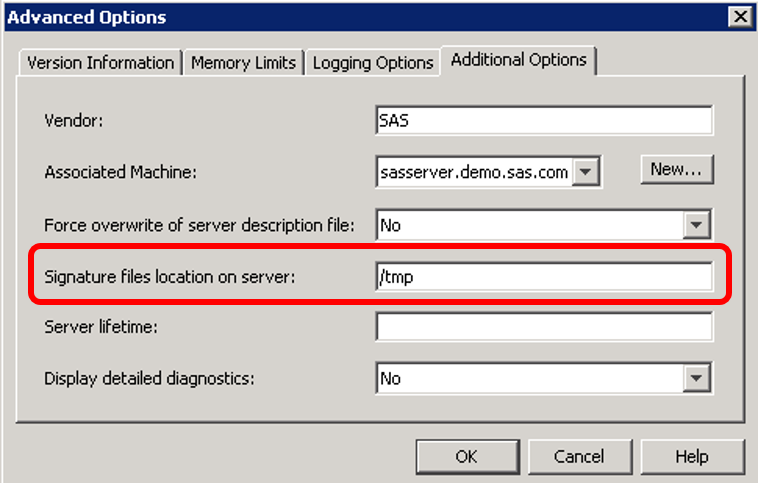 Server signature files are created when a SAS LASR Analytic Server is started. Table signature files are created when a table is loaded into memory. The location of the signature files for a specific SAS LASR Analytic Server can be found on the Advanced properties of the SAS LASR Analytic Server in SAS Management Console. On Linux, if your signature files are in /tmp you may want to consider relocating them to a different location. In the SAS Visual Analytics Administrator application, logs of interactive actions for a SAS LASR Analytic Server are written to the designated last action log path. The standard location is on the middle tier host in <SAS_CONFIG_ROOT>/Lev1/Applications/SASVisualAnalytics/VisualAnalyticsAdministrator/Monitoring/Logs. The va.lastActionLogPath property is specified in the SAS Visual Analytics suite level properties. You can access the SAS Visual Analytics suite level properties in SAS Management Console under the Configuration Manager: expand SAS Applicaiton Infrastructure, right-click on Visual Analytics 7.3 to open the properties and select the Advanced tab. The va.monitoringPath property specifies the location of certain monitoring process ID files and logs. 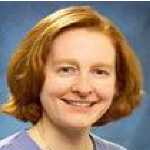 The standard location is on the compute tier in <SAS_CONFIG_ROOT>/Lev1/Applications/SASVisualAnalytics/VisualAnalyticsAdministrator/Monitoring/. This location includes two subdirectories: Logs and PIDs. You can override the default monitoring path by adding the va.monitoringPath extended attribute to the SAS LASR Analytic Server properties. For activities like starting the SAS LASR Analytic Server you might want to use a dedicated account such as lasradm or assign the access to existing users. If you opt to create the lasradm account, you will need to also create the related metadata identity. For group level security on Linux, it is recommended that you create a new group, for example sasusers, to reserve the broader access provided by the sas group to only platform level administrators. Be sure to include in the membership of this sasusers group any users who need to start the SAS LASR Analytic Server or that need to load or import data to the SAS LASR Analytic Server. Since the last action log path, the monitoring path, and the autoload scripts location all fall under <SAS_CONFIG_ROOT>/Lev1/Applications/SASVisualAnalytics/VisualAnalyticsAdministrator, you can modify the ownership of this folder to get the right access pattern. A similar pattern can also be applied to the back-end store location for the data provider library that supports reload-on-start. Don’t forget to change the ownership of your signature files location too!